Today, Nintendo spilled the beans on what’s next in their line-up of indie titles for the Switch console. 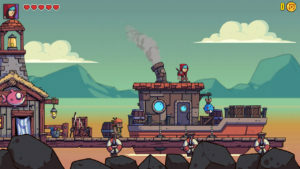 The brief but meaningful presentation was jam-packed with strategy, action, platforming, and even the opportunity to play as a mischievous goose. Here’s a look at what’s in store for indie enthusiasts over the coming months. Play the part of a drifter strategizing his way through a dark world, which bares the ravages of a violent past. and use long forgotten technology to try and cure yourself from a mysterious disease. Exclusive to the Switch version will be an outfit with special abilities and 2 weapons. 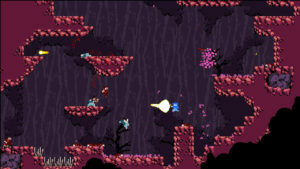 A frantic, hectic archery battler that features a 6 player battle mode, 4 person co-op, and over 400 levels of combat. The Switch version will include all content from the Dark World & Ascension expansions and the ability to play as characters Madeline and Badeline. 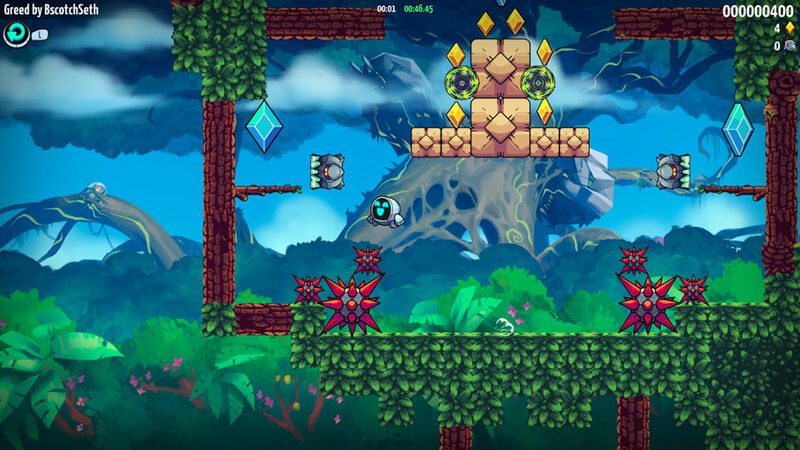 A unique take on the Tetris-esque, falling block gameplay that involves the use of grappling hooks and a tiny, heroic (& customizable) characters who help players stack like colored treasure chests and find a corresponding key to unlock points. Play in challenge mode, a head to head match on-line, or local versus. An arcade game about 2 cubes, Charcoal & Mustard, who attempt to cheer-up their best friend. 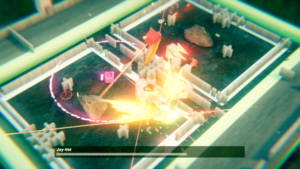 Gun, laser, blast, and crash your way through nine destructible worlds. Play with or against others in competitive and party modes inside over a dozen origami thunderdomes. Exclusive to the Switch version will be the ability to play as Joy-Bot, an “enemy spawner” that can be controlled with one Joy-Con. 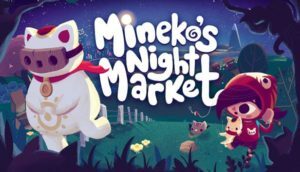 Mineko’s Night Market is a narrative driven simulation game about shopping, crafting, selling, and cats, that’s inspired by Japanese culture and filled with mysteries to solve. Four diverse characters play an important part in rewriting history for Gunn City, in this upcoming sequel. 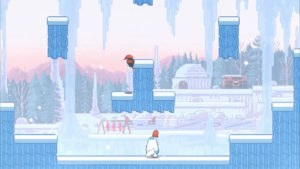 Play alone or with a friend in a new adventure mode. Explore a metropolis on the brink of crisis dealing with gunpowder overdoses, a mad emporer trying to expand the city too quickly, and old spirits that are creeping back into the world. When you need a break from regular gameplay enjoy going against 3 friends, arming yourself with a sword, a gun, and three bullets per life. Included with the Switch version will be a digital graphic novel, called Trigger Soul, created by French artist, Valentin Seiche. Take on the role of Ash, a stranger trying to save the world of New Haven after an evil ARC empire changed its creatures into mutants. 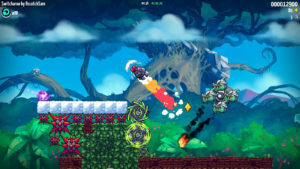 Experience a 2D co-op action game that mixes platforming with gun and sword play and features upgradable weapons, a variety of abilities, and a HD rumble feature. 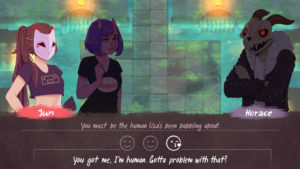 The World Next Door follows the story of Jun, a rebellious teenager stuck in a parallel world, inhabited by magical creatures. Make friends with an unusual cast of characters and solve the mysteries of this world in this narrative driven action game, filled with branching dialogue and fast-paced, real time puzzle battles. Levelhead is an innovative game that allows players to create their own levels and enjoy those made by others. Go through a single player campaign or platform/build with up to 3 other friends. Crush your opponent’s hat before they crush yours in this quick response, fighting based, party game, for up to 4 players. Get really good at the game’s simple, two button mechanics and go against others on-line to try and rank #1. 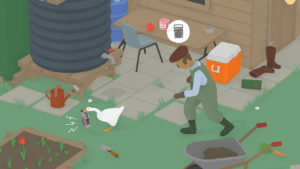 Wreak havoc on everyone around you as a goose on the loose, in this simulation game full of slapstick humor and antics. 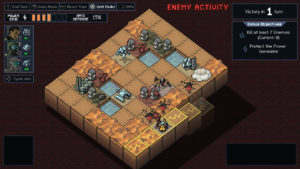 Into the Breach is a turn-based strategy game in which players must control powerful mechs from the future to save the world from an alien threat brewing beneath the earth’s surface. Nintendo also revealed a new channel that’s been created for Switch users which will focus completely on indie games. It will include Q&A, updates, news, and developer stories, and is up and running as of today. If you’d like to watch the (almost) 16 minute, Nindies presentation, you can do so through the Nintendo YouTube channel.